If the kitchen is truly the heart of the home then choosing your kitchen style makes a bold decision for your entire property. When it comes to traditional kitchens, the materials you select, the stylish touches you add and the furniture you use will set the tone for your overall look and probably have a real impact on the way you live in your space. Choosing a traditional look need not feel old-fashioned, though, so here are a few ideas to consider. look is key to getting this right; leave baskets of seasonal vegetables on the side or hang garden herbs to dry from ceiling racks. These little touches are simple, straightforward and packed with nostalgia - just what you’re trying to achieve. As well as being somewhere to cook, kitchens are now places to gather, socialise and relax. Traditional styling lets you create a space that is elegant, sophisticated and beautiful; somewhere your family and guests will really want to be. woods. Or perhaps a Victorian or Georgian property; tastefully styled and hosting a number of original period features. To get the timeless look, woods such as oak are often a preferred choice for kitchen doors and cabinets. 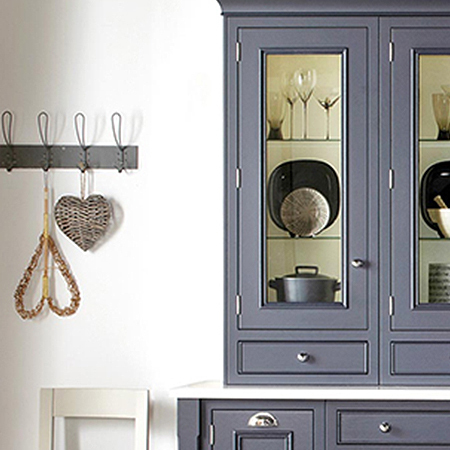 Painted finishes can also be used for a classic look, or to put a modern twist on the style. Wood is also a fitting choice for worktops, with granite or marble also great options offering long lasting durability.Match quality materials with nostalgia items such as a vintage cookbook, or inherited kitchen scales to add a personal touch. Easy ways to add these classic touches in a really practical way are choosing stone floors, or pieces made with salvaged wood. 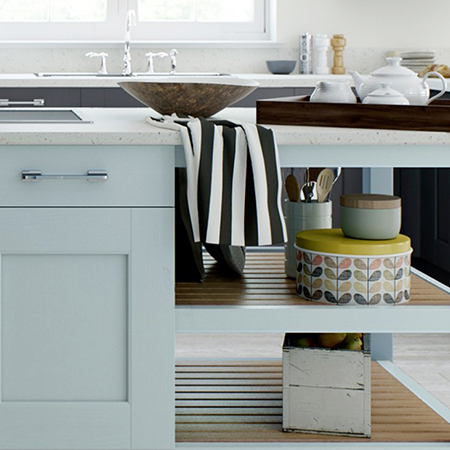 For the accents think about enamel cookware, wicker baskets and practical ceramic display pieces. There are many ways to evoke days gone by when planning your kitchen, but it just won’t work unless it can sit comfortably with the décor in the rest of your house. If you plan on having people walk from an ultra-modernist lounge to a kitchen that is completely traditional in style it will never feel authentic. Look to the original features of the property you live in; perhaps you could expose wooden beams, introduce fireplaces that evoke history, or, if you have space, go for a wood-burning stove.That is not to say that traditional kitchens can't work well in modern homes; using combinations of colours, finishes and materials can create a very effective transitional style that cherry picks parts from both modern and heritage based designs. Important focal points in a traditional-style kitchen will be the worktops and the sinks. Hardwood and granite fit well for this look and are easy to look after if you pay attention to maintenance instructions. They should also age well and make a good basis for changes or updates you may want to make in the future. If you choose wood then go for warm coloured pieces from oak or walnut. Alternatively, granite is ideal for the busy cook; it’s very forgiving and will survive your hot pans directly on its surface. When choosing your sinks look for ceramic units such as Belfast or farmhouse sinks; they make a great centrepiece and add to the practical, pared down feel. Choosing good materials and accessories can go a long way to creating your perfect traditional kitchen but you don’t need to scrimp on the nicer touches. Think about soft-close doors, integrated appliances, intelligent lighting and island units that allow you to open up the space of your gorgeous new room. 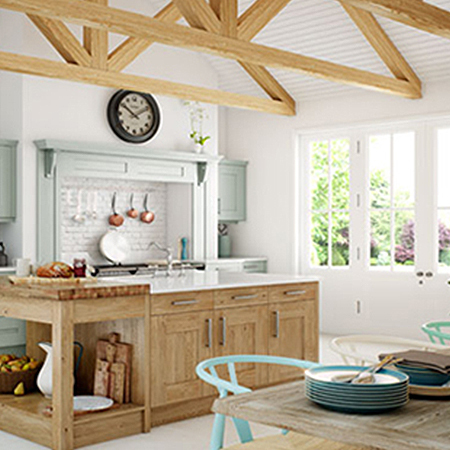 View our traditional kitchen inspiration page for more design ideas. 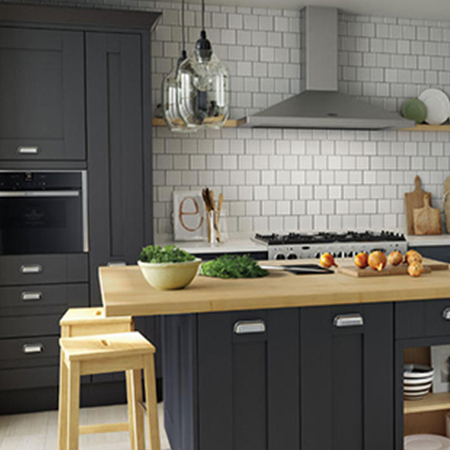 To browse traditional kitchens from leading manufacturers, view our complete range. 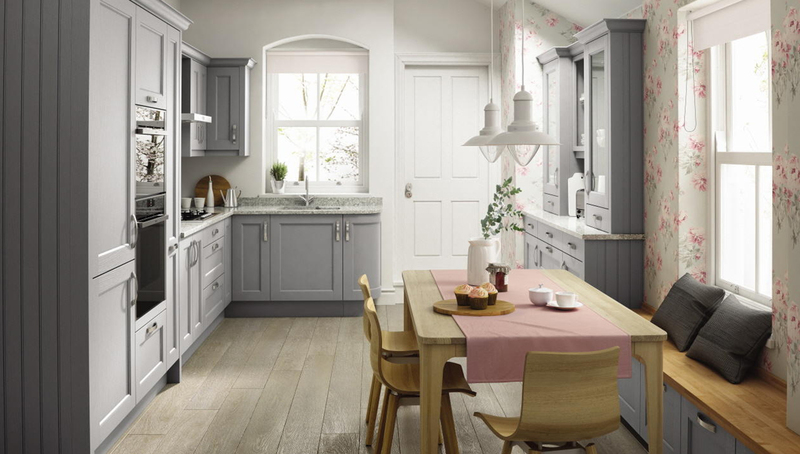 If you have any queries about traditional kitchens, call our team on 01242 523 879 or use our online contact form.